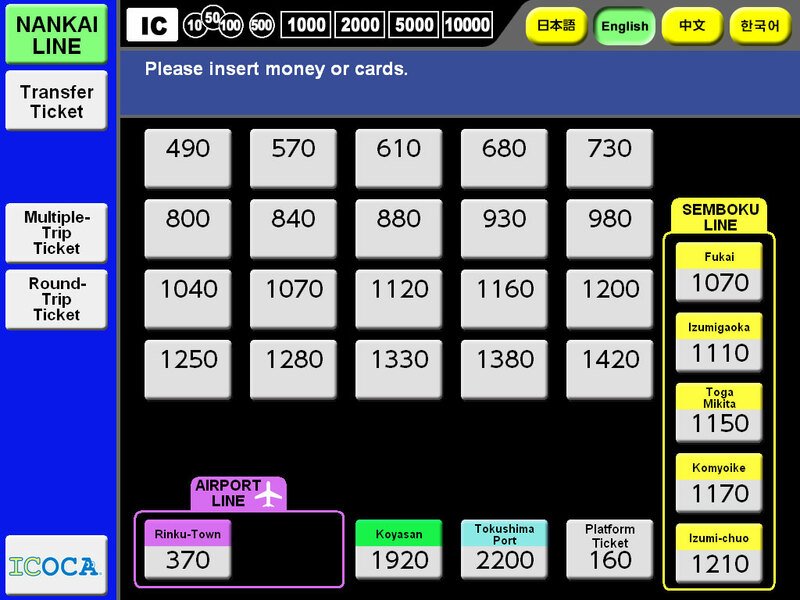 Use the fare table in the station to check where your want to go and how much it will cost. 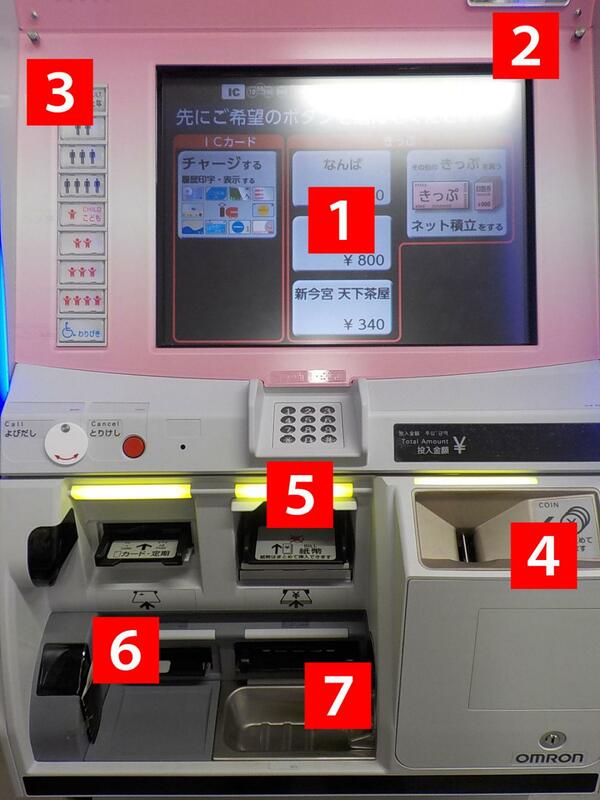 From the buttons in the middle, select the button for the station you want, then put your money in. 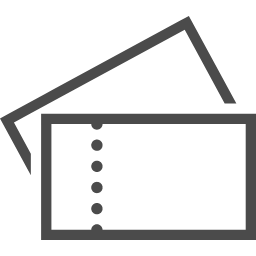 If your station isn’t shown, then press “Buy other tickets” at the top right. Check the amount to your destination station on the fare table above your head by the ticket machines. 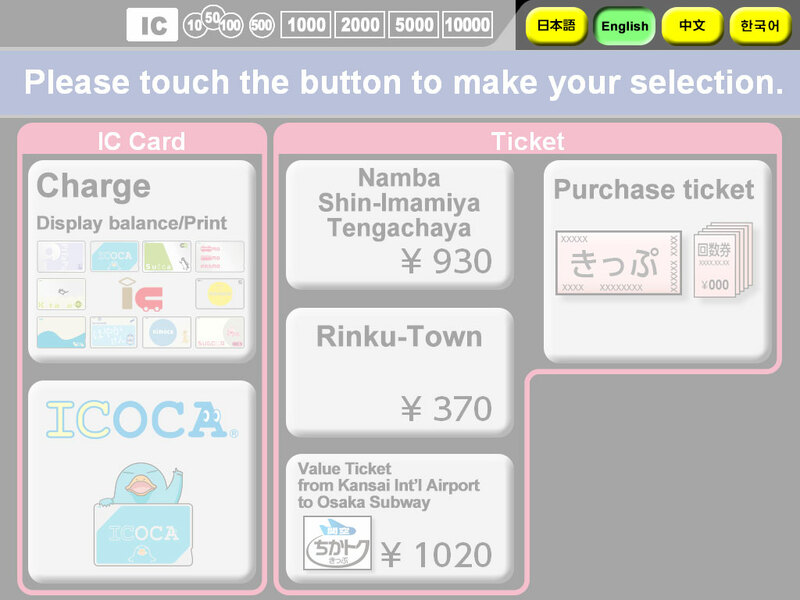 Select the fare button for the station you want, then put your money in. Take your ticket, and don’t forget any change you might have. 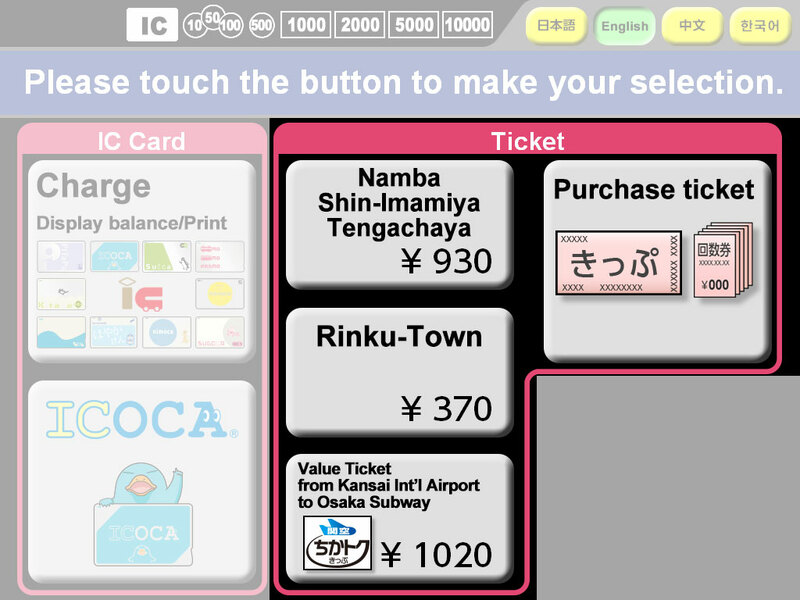 The Kanku Subway Special tickets are a convenient way to save money travelling between a station in Osaka and Kansai-Airport.